The auditorium host two hundred people and it is equipped with the best technologies to meet the contemporary needs of communication and study. It is possible to use the service of simultaneous translation, that permits an excellent quality of work to orators and auditors, upon request of specialists and experts of the concerned languages. 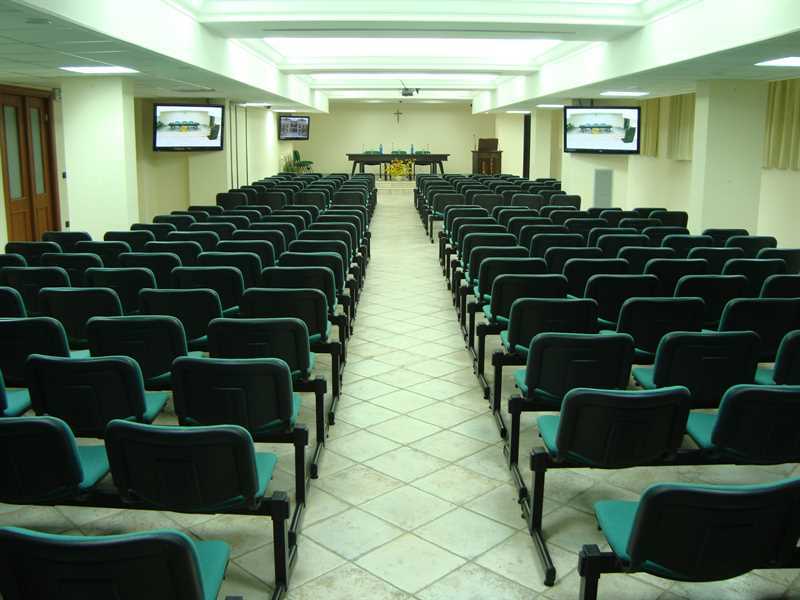 Furthermore, the closed-circuit TV system allows to supervise the works of the conference room, the chapel, the rooms and all the other places of the structure. Annexed to the structure, besides the parking area for cars and buses, there is a recreational room for children accompanied by entertainers, supplied, upon request, from the management.